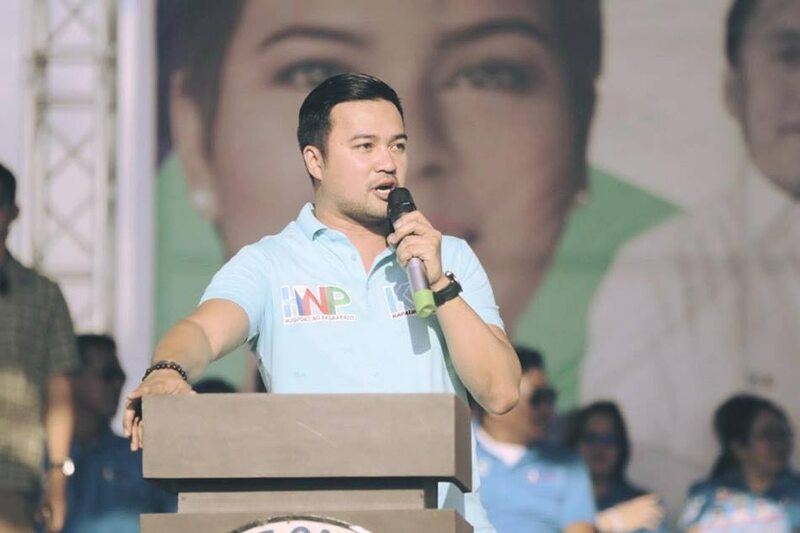 MANILA - Davao City Mayor Sara Duterte-Carpio on Wednesday named Marinduque Rep. Lord Allan Velasco as the next Speaker of the House of Representatives, a day after she said Leyte Rep. Ferdinand Martin Romualdez will get the post. “Kani siya... ako ipailaila ninyo ang (This one...I will introduce to you the) next Speaker of the House, Marinduque Rep. Lord Velasco," Duterte-Carpio said at a campaign rally in Tagbilaran City. She had called Velasco her bet for the speakership in November. But just this Tuesday in Tacloban City, the mayor, who leads the administration-backed regional political party Hugpong ng Pagbabago, named Romualdez, nephew of former first lady Imelda Marcos, as the next House Speaker. Aside from Velasco and Romualdez, Duterte-Carpio and her father President Rodrigo Duterte are also allied with former foreign affairs chief Alan Peter Cayetano, who has also announced his speakership bid. The President's daughter said everyone she has endorsed is fit for the position but Velasco has an advantage because he is a member of ruling party PDP-Laban. PDP-Laban earlier said it was eyeing 8 possible individuals as its nominees for the next Speaker. Duterte-Carpio was instrumental in the unceremonious ouster as Speaker of Davao del Norte Rep. Pantaleon Alvarez, who was replaced by Pampanga Rep. Gloria Macapagal-Arroyo.